Do you want your day to go well? As a recovery counselor or coach, you can expect busy, emotionally and intellectually demanding days. One of the ways to ensure you can make the most of the day is to start off with the right breakfast. What you feed your body in the morning can help set your path. It can set you on the road to feeling tired, hungry and irritable or it can set you off on a path to feeling satisfied, full and energized. Making breakfast in the morning can take a little bit of time. If you’re a busy person, you may be tempted to skip it in order to save a few minutes. However, doing so can actually waste time. This is because when you eat a good breakfast, it can boost your energy levels and help you stay focused. This will, of course, make you more productive overall. It also will help cut down on any emergency snack breaks. What does the magical formula look like? The right breakfast will include fiber, complex carbohydrates, and protein. Turn to whole grain breads, fruits, oatmeal, and high fiber cereals in the morning. Add in eggs, yogurt, maybe some low-fat cheese, nuts and nut butters. If you want something quick, whip up something the night before. A fast and easy choice is overnight oats. You can fuel your morning without taking up too much time. Avocado toast, which has been trending for a while now, is another great choice for the morning. It pairs healthy fats with whole grains, and if you top it off with an egg, you’ll get a fair amount of protein as well. Don’t start off your morning with high sugar or simple carbs. Eating fast food or jelly donuts may taste good, but they will leave you wanting more. You’ll likely be left feeling exhausted way too early in your day. 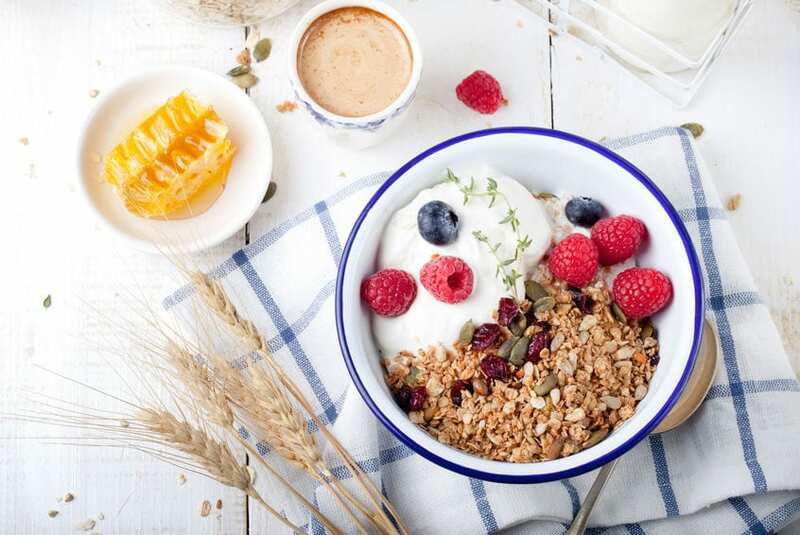 Get yourself going with a highly nutritious and filling breakfast that will be sure to boost your energy levels.